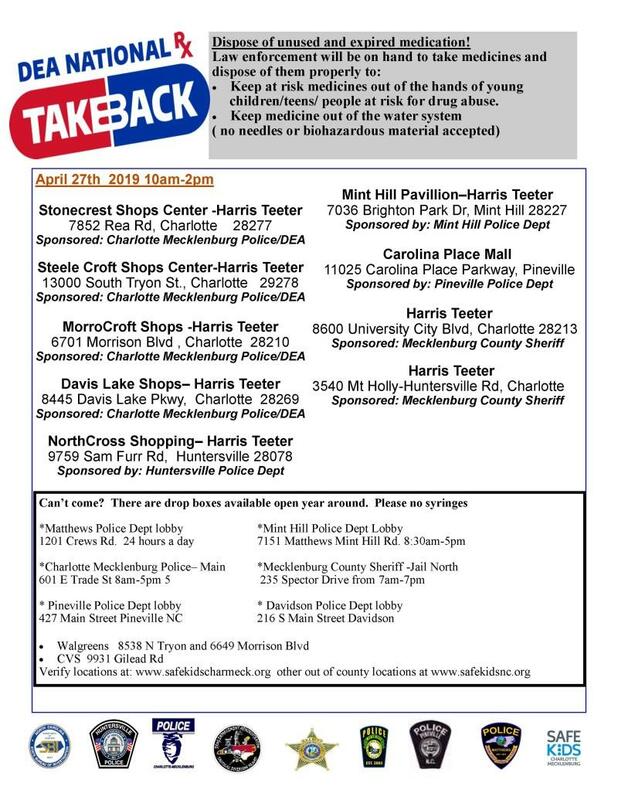 On Saturday, April 27 from 10 AM - 2 PM Pineville Police Department will be on-site at Carolina Place in the parking lot near Belk to collect any expired or unused medications and dispose of them properly. It is important to keep at risk medicines out of the hands of young children, teens or people at risk for drug abuse and also to keep medicines out of the water system. No needles or biohazardouse materials are accepted. For more information about the event, contact Officer Colin Mitchell at 704-889-2231.